Somerville is celebrating this centenary year of ‘Votes for Women’ with an exciting calendar of events. Launched on 6 February 2018 (the 100th anniversary of the Representation of the Peoples Act) the ‘Somerville and Suffrage’ programme will offer everything from lectures and discussions to newly commissioned musical theatre. See the full programme here. Somerville has always been a place for radical ideas, whatever their political colour. From the College’s first MP to the first woman and first scientist to become Prime Minister: Somervillians have never shied away from trying to make the world a better place. You could say that Somerville’s association with the ‘Votes for Women’ movement started before the College itself was even founded. Somerville is named for Mary Fairfax Somerville, a self-taught scientist and mathematician who was one of the first two women to become members of the Royal Astronomical Society. Hers was also the first signature on John Stuart Mill’s unsuccessful 1868 petition to Parliament proposing votes for women. From its foundation in 1879, Somerville played its part in the struggle. The College’s members (students, Fellows and former students) marched, debated, raised funds and sometimes took militant action to get the message out. By 1910, membership of the Somerville Women’s Suffrage Society stood at 75 out of a total body of 94 and Somerville was known by contemporaries as ‘a college of devoted suffragists’. Find out more about how the centenary of women’s suffrage is being celebrated in Oxford University, the City of Oxford and beyond. 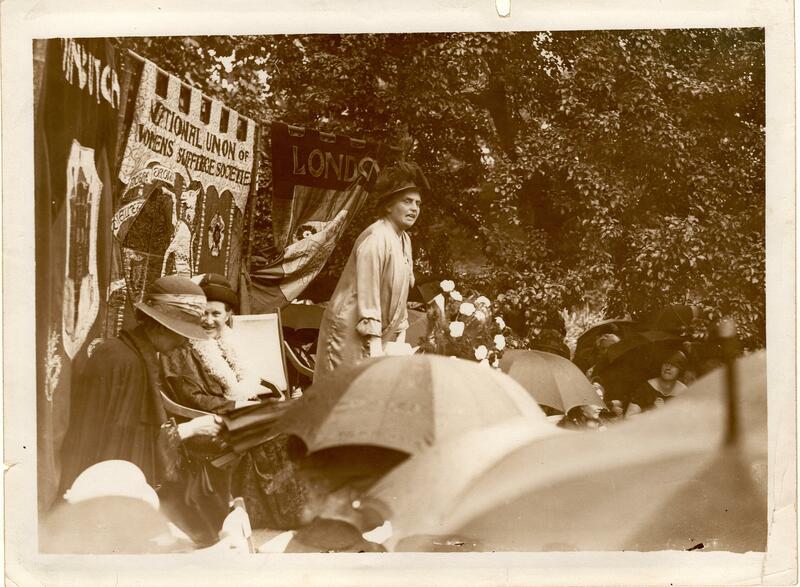 More information about the Women’s Suffrage movement in Oxford can be found here.